I take my glow seriously, highlighting is integral especially for someone who has fair to medium complexion with sallow skin. 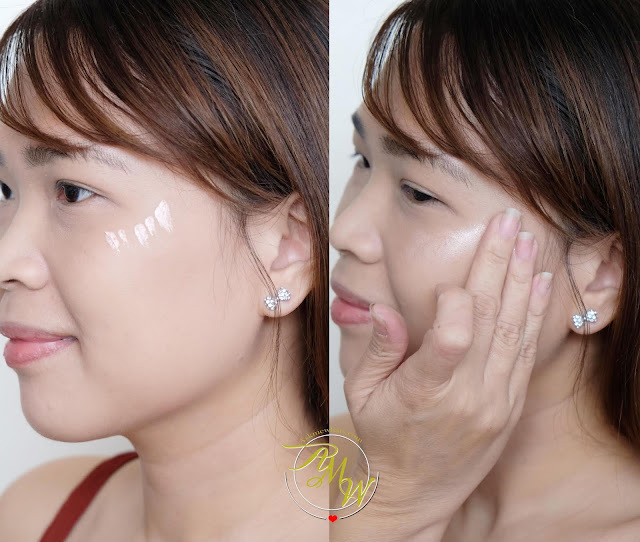 Highlighting just "fakes" perfect-looking skin! One brand I've been using is called PeriPera. They came up with their own highlighter from their Pearly Nights collection. I got 2 shades to test, I believe there are a total of 3 shades, I'm unsure if they sell all three in the Philippines but I got 2 good colors. This shade is meant for users who have cool skintone. This has a lavender shade with holographic effect but a very subtle kind. Perfect for users with warm skintone. This shade has gold shimmers making it a perfect highlighter if like me, you have yellow undertone. 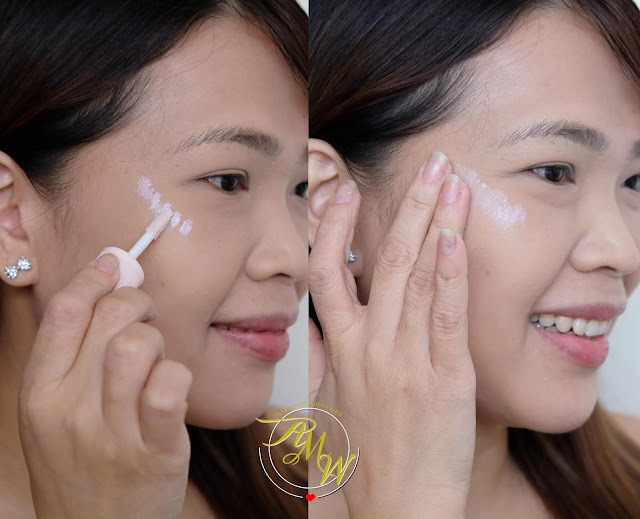 The best way to apply PeriPera Pearly Nights Ink Highlighter is to use the doe-foot applicator and apply directly on the high points of your face. I like to apply straight on my cheekbones. Then pat using your clean fingers. Simple as that. The effect of Shade 1 is not as obvious and quite subtle. Shade 2 is more obvious in a subtle way. I like how it brightens up my complexion without looking fake. This is a limited edition packaging but I'm sure when you visit PeriPera at Club Clio store, they still sell a similar ink highlighter. I personally think PeriPera came up with wonderful highlighter for the face! I know there are so many out there but this is one brand to look into because I love how they created such product that gives "impact" yet still natural enough to be worn on a daily basis. Which particular shade is your favorite? Mas bet ko #2 for you! I wonder if it is moves your makeup base?